Discover Downtown Chattanooga with 3 new walking tours featuring everything that makes Chattanooga the Scenic City of the South. 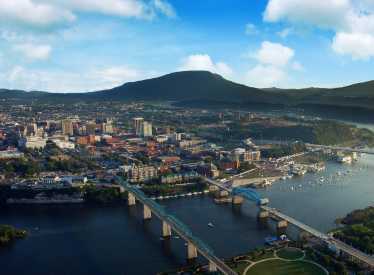 Let Sweet Magnolia Tours take you on an exciting walking tour to some of Chattanooga's more exciting sites, both past and present. 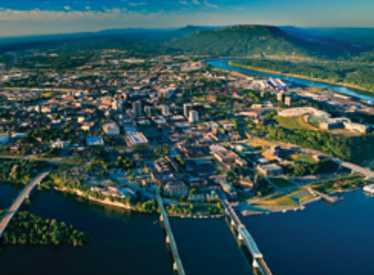 Learn about Chattanooga's rich architectural and Civil War History on a 90-minute tour through the heart of downtown. Highlights include the Tennessee River Walk, Ross' Landing, Tennessee Aquarium, The Historic Read House, The Tivoli Theater and more! Explore our vibrant Arts Community as we explore the Bluff View Art District and Northshore Tour. 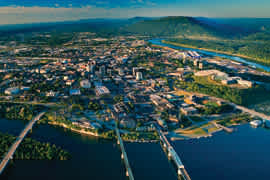 Highlights include Bluff View Sculpture Garden, Walnut Street Bridge, Coolidge Park, Renaissance Park and breathtaking views of the Tennessee River! Discover Chattanooga's iconic treasure, The Chattanooga Choo Choo and the city's historic music scene, The Big Nine. Learn about the legacy of Blues songstess, Bessie Smith, and more!